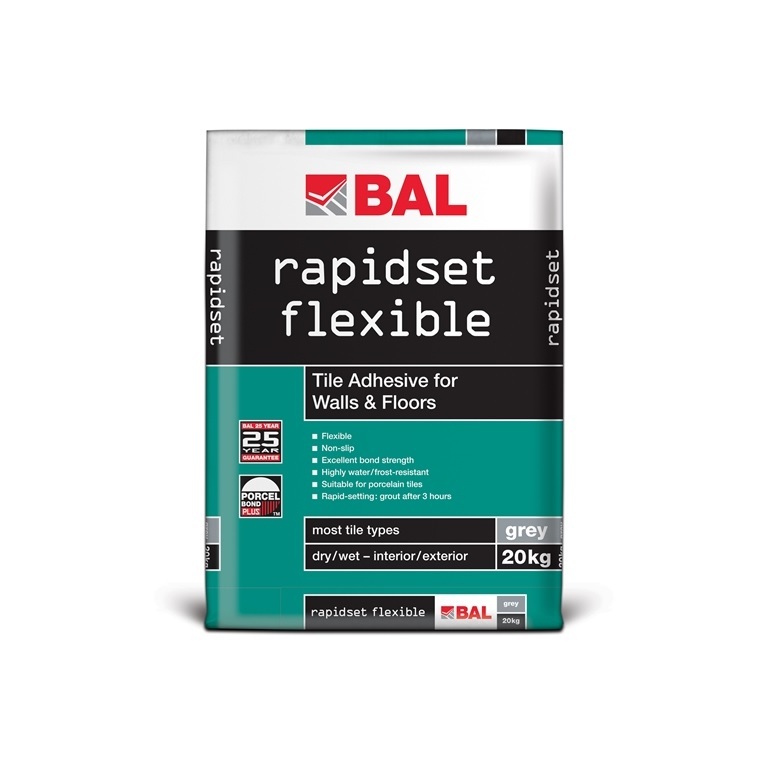 Polymer-modfied and water-frost resistant, BAL Rapidset Flexible sets in only three hours making it ideal for fast-track tiling on walls or floors. 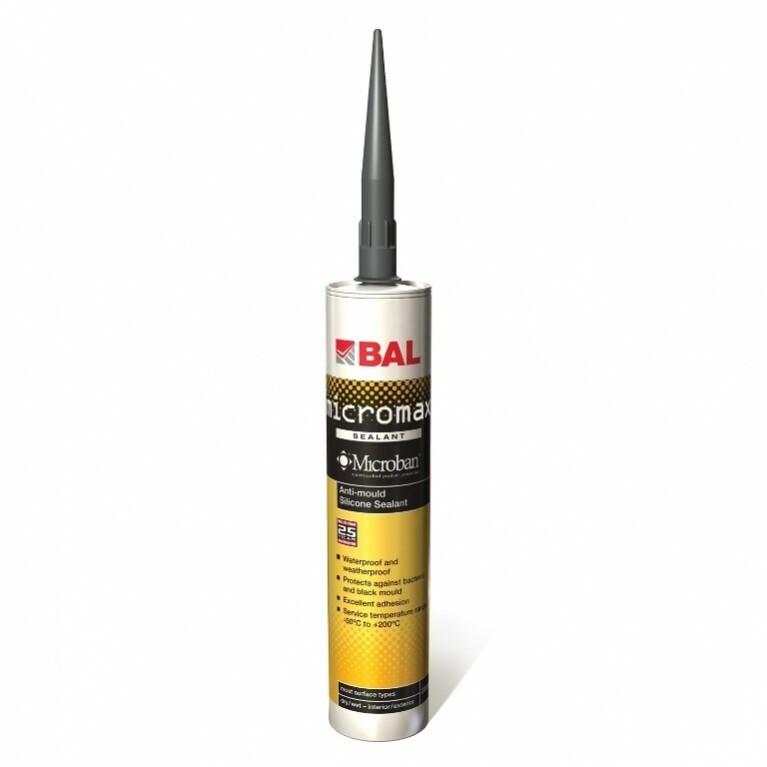 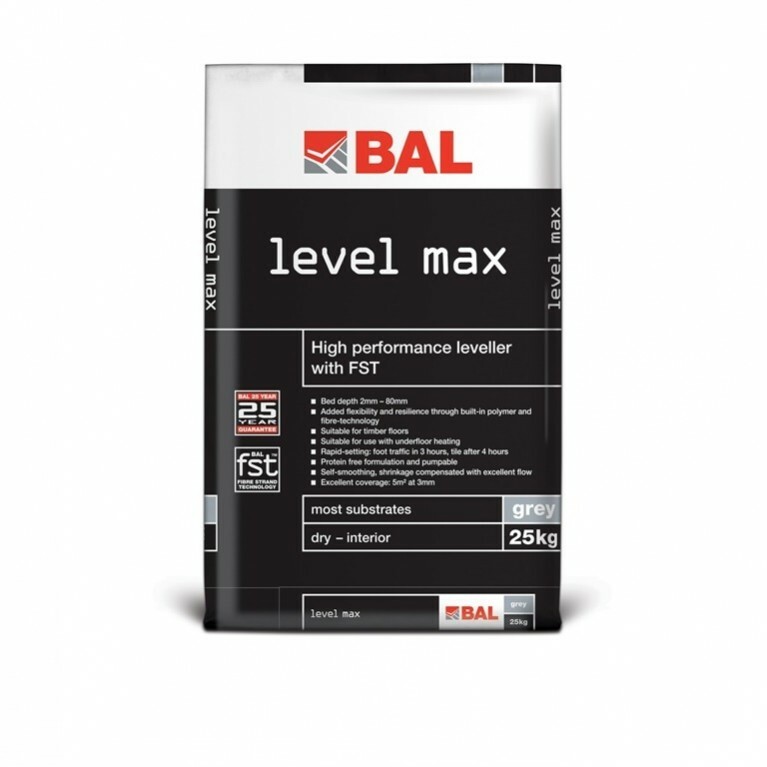 Recommended for areas of total immersion, heated screeds and installations subject to limited movement and vibration, BAL Rapidset Flexible can be used to fix ceramics, porcelain and vitrified tiles, mosaics, natural stone including marble (excluding translucent), terrazzo, rigid foam insulating materials and brick slips in dry or wet interior and exterior environments. 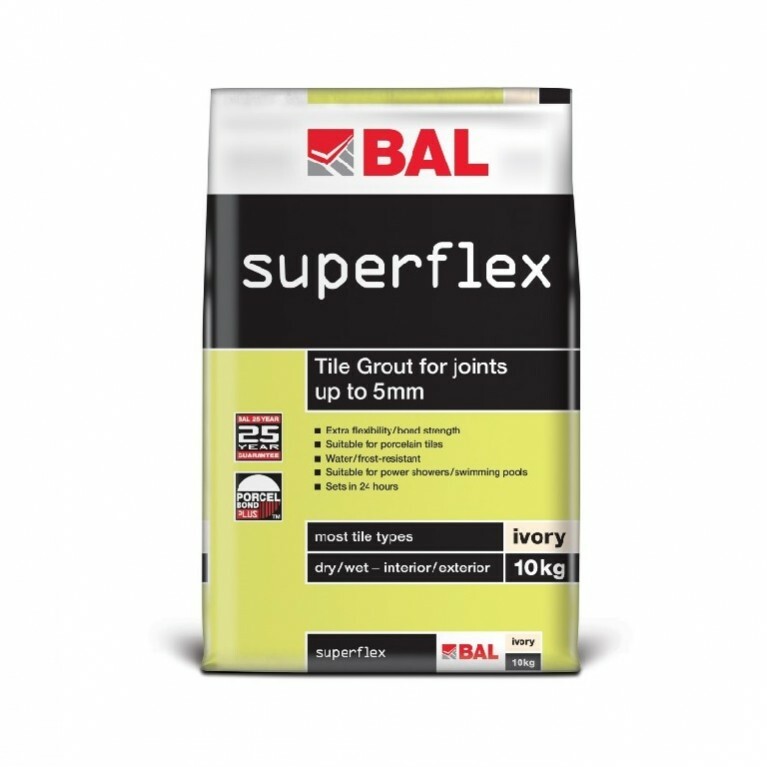 Consider BAL Rapidset Flexible for fast-track tiling projects with difficult or specialist backgrounds which require increased flexibility which helps to prevent tile cracking or de-bonding. 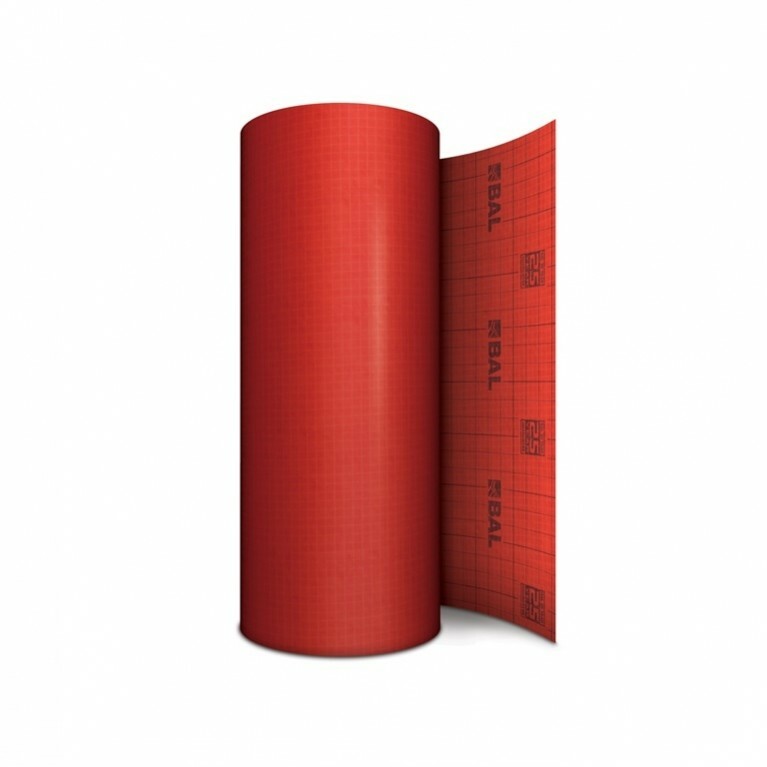 With a drying time of only three hours, tiling can be completed faster, ensuring the project is completed on time and in budget. 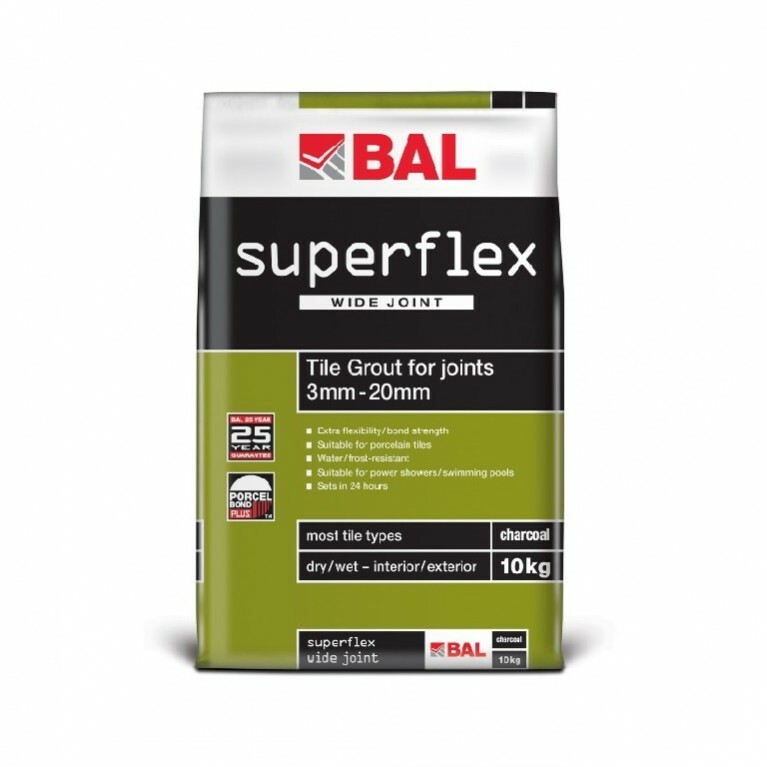 BAL Rapidset Flexible has enhanced adhesion properties, making it suitable for use with fully vitrified or porcelain tiles and low porosity substrates.